BOYNE FALLS, Mich. â€” For most of his 66 years, Tom Fanning has been an avid skier, relishing the challenge of steep mountainside runs in Colorado, Montana and Wyoming. But the investment adviser from the Detroit suburb of Birmingham doesn't have to jet to the Rockies for an enjoyable weekend on the slopes. 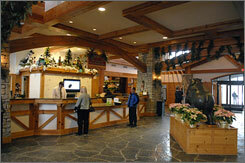 He simply drives north a few hours to Boyne Mountain, one of the best-known resorts in his home state. more..
Bronti Frattini looked at the 150 or so people on the snow-covered hills at Pine Knob ski resort Thursday night with glee. The 17-year-old, who couldn't remember starting the ski season so early in the year, had to put work before play. "You people don't know what snow is," grandpa used to say. "When I was a boy we had REAL snowstorms and we had to walk . . . yakkity yakkity yak. . . "
Well, chalk up one for grandpa. It seems he was right. The worst snowstorm in Detroit history came in early April, 1886, and dumped 24.5 inches of the white stuff on the city. Accompanying winds caused drifts up to 12 feet high in some places. The second worst storm in 1974 brought us a mere 19.2 inches. The Detroit News editions of April 6, 1886, reported that "Snow began at 12:30 a.m. and fell light until about 4 a.m., when it began to fall heavy . . . a tremendous fall of snow continued all day, ending at 9 p.m. If this week's taste of snow has you dreading winter already, the current edition of the Farmers' Almanac has a bit of advice: Get used to it. The Farmers' Almanac is predicting a cold, snowy winter in the Great Lakes region. In fact, the Almanac -- which claims to correctly predict long-term weather patterns 85 percent of the time -- is forecasting a repeat of last year's frigid, snowy winter. I've just hiked 45 minutes through freezing farmland in Michigan's Upper Peninsula, hauling heavy bags of gear. Snow sticks to my eyelashes. I stand before a frozen waterfall nestled deep in Pictured Rocks National Lakeshore, and the cold disappears. My breath quickens. Adrenaline fills my limbs. I've come to climb this foreboding wall of silent, thick ice. The melt from one of the snowiest winters in years around the Great Lakes is expected to boost water levels in the upper lakes, which had hit or approached record lows last fall, by as much as a foot this summer, bringing joy to boaters and lakeside businesses. Lindsay Jacobellis and Nick Baumgartner gave the United States a first-place sweep in the U.S. Snowboarding Cup snowboard cross event at Whiteface Mountain on Saturday. Jacobellis and Baumgartner each won all of their qualifying races as well as the final heats in the men's and women's World Cup contest. Jacobellis, from Stratton Mountain, Vt., also won her fourth straight SBX title at Whiteface. AS the lakes of the Midwest, Northeast and Canada freeze, clusters of fishing shacks appear, forming villages above the best wintertime fishing spots â€” despite the cracking, moaning and eerie warbling of the thickening but unstable skin of ice. 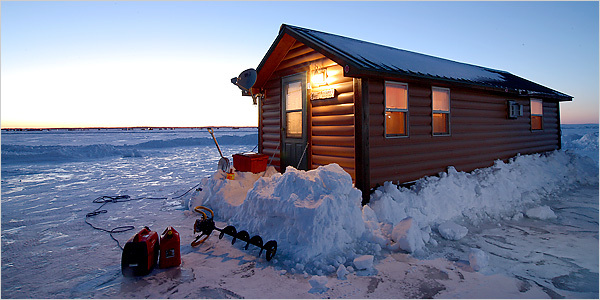 Once a foot of ice accumulates, fishermen in New York tow houses onto Saratoga, Oneida and Champlain. In Michigan, ice-fishing villages sprout on Houghton, the stateâ€™s biggest inland lake, and nearby Higgins, where anglers camp in their shacks all night to catch rainbow smelt. Town of West Bend - Sharon and Donald Mann stood on the snow-covered ice of Big Cedar Lake Saturday, near the place their son, Michael, drowned on a January night five years earlier. They returned to the lake to watch angels at work, Sharon Mann said. Angels are what she calls members of the Washington County dive rescue and recovery team. The John Beargrease Sled Dog Marathon commemorates the life of John Beargrease, the son of a Chippewa chief who delivered mail by dog sled along Lake Superiorâ€™s rugged North Shore in the late 19th century. John Beargreaseâ€™s weekly deliveries along the North Shore played a pivotal role providing a lifeline for communities and commerce. On January 27, the world will be watching as we continue the tradition of honoring John Beargreaseâ€™s character and commitmentâ€”and to celebrate life along the North Shore. Midwesterners have a long history of amusing themselves with ice and snow, and some of the best places for frozen fun are along the region's freshwater inland coasts and shorelines -- winter wonderlands of sculpted waterfalls, cliffs and canyons, surrounded by white-blanketed woodlands and ice-topped lakes. 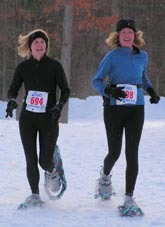 Winter activities go beyond the requisite skiing, ice-skating, sledding and snowmobiling, from a snowshoer listening to the quiet of a frozen waterfall or an ice-kiter gliding across a glassy lake to an ice-climber enduring a warm rush of adrenaline. BUDDY MELGES - Faster Than a Speeding America’s Cupper! Daniel Cobb, 20, of Allendale had hoped to get a better look at the sunset early Thursday night by venturing out on the ice on Lake Michigan with two others at Grand Haven City Beach; instead, he found out the hard way that ice in mid-March is unstable.